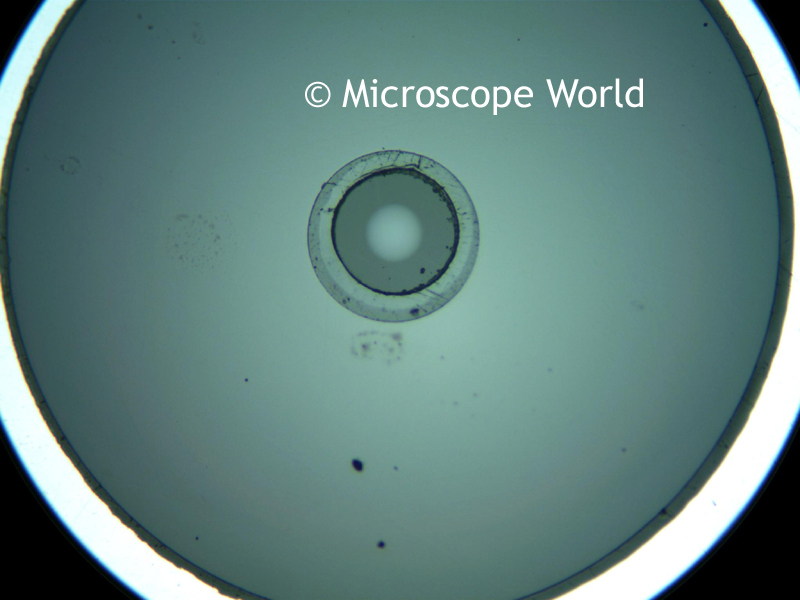 Microscope World had a customer that splices and connects fiber optic cables, and they needed to view these parts under a metallurgical microscope. Both the 20x and 50x objectives were used (for 200x and 500x total magnification). The fiber optic cables were viewed with standard brightfield, and with the addition of a green filter. 200x magnification viewed with brightfield. 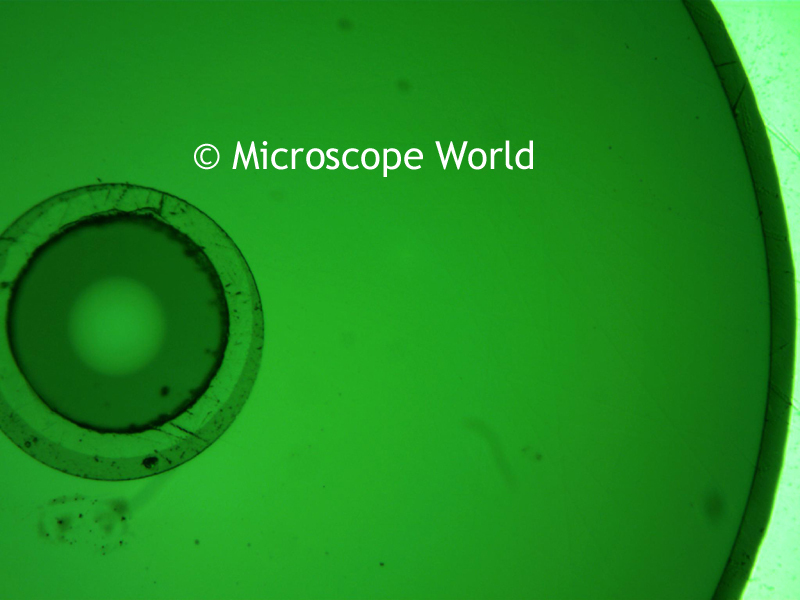 200x magnification viewed with green filter. 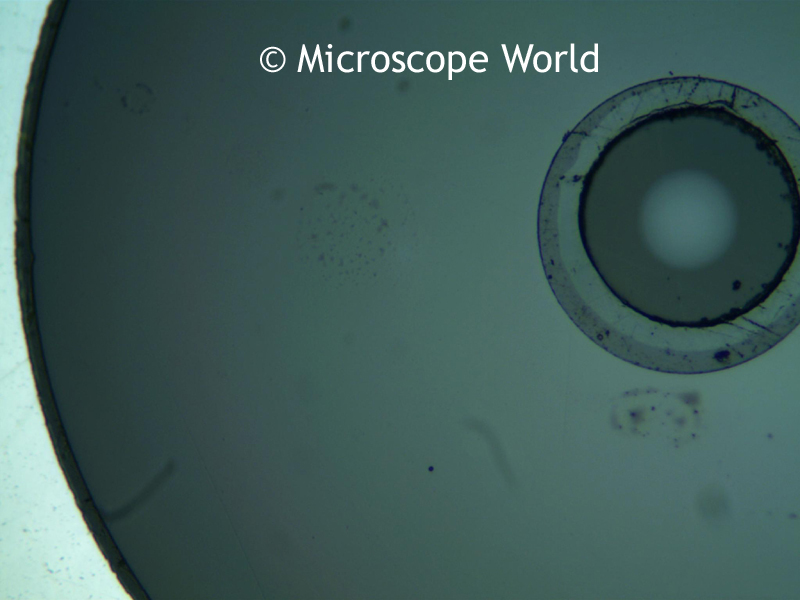 500x magnification viewed with brightfield. 500x magnification viewed with green filter.